The Purple and WhiteSuper Bowl Sunday: Who is Going to Win? Super Bowl Sunday: Who is Going to Win? 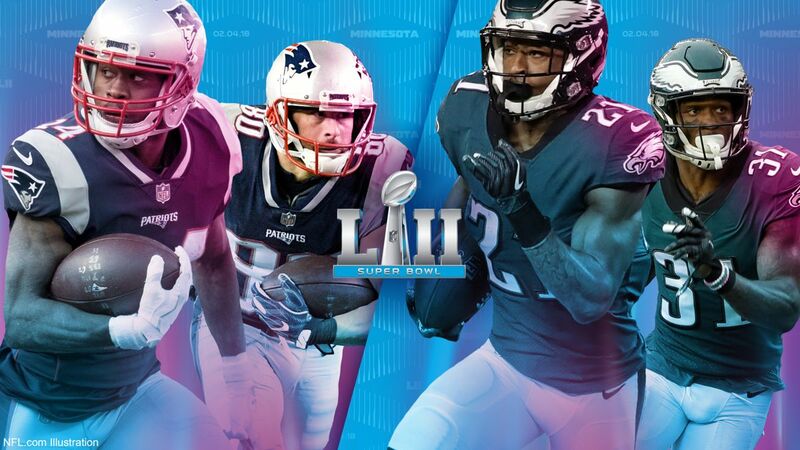 This Sunday night at 5:30, the New England Patriots and the Philadelphia Eagles will face off in Minneapolis, Minn., in football’s biggest game of the year to determine the winner of Super Bowl LII. Despite the fact that both of these teams finished with 13-3 records in their respective conferences, the game between the Patriots and the Eagles is somewhat of a David versus Goliath matchup. The Patriots have won two of the last three Super Bowls, and five overall. They entered the season as heavy favorites to win another Super Bowl, led by Tom Brady, who is arguably the greatest quarterback in league history as well as head coach Bill Belichick, arguably the greatest coach in league history. The Patriots have won five Super Bowls since 2002, but have become one of the most polarizing teams in all of professional sports. Many sports fans living outside of New England detest the Patriots due to their continued success, but also because the team has dealt with several scandals over the years. They have been accused and punished for deflating footballs used in games and spying on their opponents. This season, the Patriots benefitted from several controversial calls made by referees, including a game against the Pittsburgh Steelers where an apparent game winning touchdown by the Steelers was overturned at the end of the game. That victory gave the Patriots the number one seed in the AFC, which helped them get home field advantage all the way to the Super Bowl. The Patriots defeated the Tennessee Titans 35-14 in their first playoff game. In their second game, they played the Jacksonville Jaguars. The Patriots trailed 20-10 after 3 quarters, but they rallied in the fourth quarter to win 24-20 and make it back to the Super Bowl. Unlike the Patriots, no one expected the Philadelphia Eagles to make it all the way to the Super Bowl. A year ago, the Eagles finished last in their division with a record of 7-9. Few predicted they would even make the playoffs this season, but the Eagles surprised everyone by going 13-3 and finishing with the best record in their conference. However, disaster struck for the Eagles in December when star quarterback Carson Wentz suffered a season ending knee injury. Without Wentz, the Eagles season looked like it would be over but the team rallied around backup quarterback Nick Foles, who stepped up to lead the team to two playoff wins and a trip to the Super Bowl. The Eagles are making their first trip to the Super Bowl since 2004, and they have never won a Super Bowl. The Eagles defeated the Atlanta Falcons 15-10 in their first playoff game lead by a strong performance from their defense. Following their win over the Falcons, the Eagles defeated the Minnesota Vikings 38-7 to make it to the Super Bowl. In both games, the Eagles were considered underdogs despite having better records than their two opponents. Can the Eagles win the first Super Bowl, or will the Patriots win it yet again? In order to win, the Eagles need to control time of possession and keep the game low scoring. However, I believe that the inexperience of the Eagles and the discipline and coaching of the Patriots will be the difference maker in this game. While the Eagles have two players on their roster that previously played with the Patriots, most of their key players have never played in a Super Bowl. Meanwhile, Patriots quarterback Tom Brady will be playing in his eighth Super Bowl and will not feel the pressure of the moment. The Patriots are also the most disciplined team in the league, and they rarely make mistakes. They can overwhelm opponents on both offense and defense in close games, and opponents must play a complete game in order to beat them. An Eagles Super Bowl victory would be a fantastic underdog story, but I predict that the Patriots will defeat the Eagles 28-20 to win the 2018 Super Bowl. The Super Bowl starts at 5:30 P.M. on Sunday February 4 on NBC. PAC and Residence Life are hosting a watch party for the game in the Leggett Living Room.